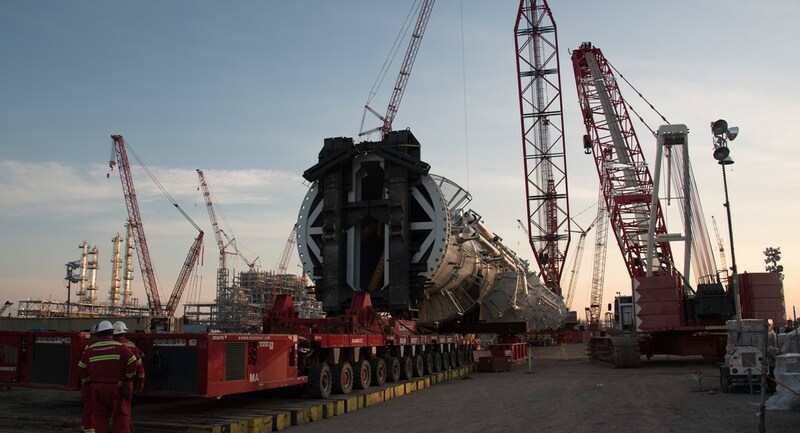 Mammoet recently completed the heaviest lift for a new manufacturing facility in Louisiana for which Mammoet was contracted to provide heavy lift and transport services. The lift of the project’s largest vessel, which is 102 meters (335 ft.) long and weighs 595 tons (1.1 million lbs. ), was safely and swiftly executed utilizing a Demag CC 8800-1 crawler crane equipped with Boom Booster. 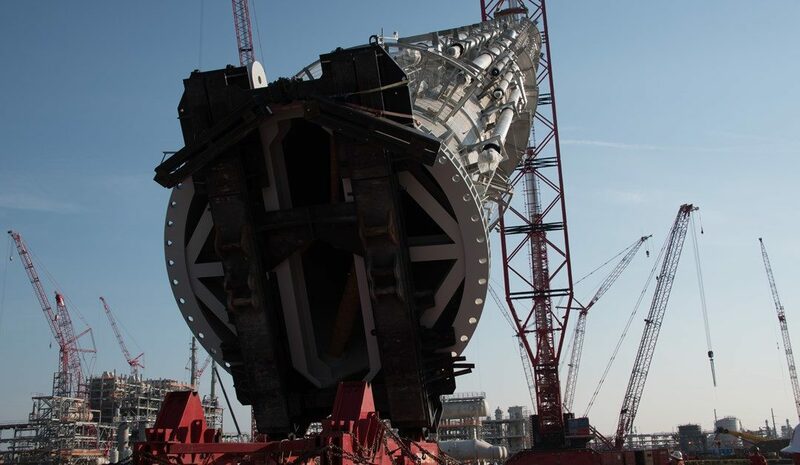 MAMMOET SUCCESSFULLY COMPLETES LARGEST LIFT ON ONGOING GULF COAST PROJECT. With limited space, due to surrounding construction, and a tight schedule, Mammoet devised a plan to execute the lift utilizing the CC-8800 and tail the vessel with double, 12 axle-line Self Propelled Modular Transporters (SPMTs). The crane had to be assembled in stages. The tracks, carbody and super structure were assembled and then walked 30 meters to the crane pad. The rest of the crane was then assembled and raised. In order to save room for the crane assembly, the boom booster was assembled in sections at Mammoet’s local yard and then trucked to site. The vessel weight was confirmed before the lift to ensure that there was sufficient capacity of the crane, which would operate at more than 90 percent of its rated capacity. At the beginning of the year, Mammoet completed an eight and a half mile transport of the vessel through a sugar cane field. The route included several 90 degree turns, a seven foot drop in elevation following a railroad crossing and required coordination with 20 different entities. Mammoet’s complete scope will end in 2018.